WATCH: Is Shaun Of The Dead The Best Zombie Movie Ever? Simon Pegg and Nick Frost take on the marauding hordes of the undead armed only with a record collection in this hilarious scene. George A. Romero, the inventor of the modern zombie movie, has died aged 77. His CV includes classic horrors like Night Of The Living Dead and Dawn Of The Dead, which spawned a host of imitators, homages, spoofs and downright rip-offs. One of the greatest tributes to the iconic US filmmaker came from Great Britain in the shape of 2004’s Shaun Of The Dead. 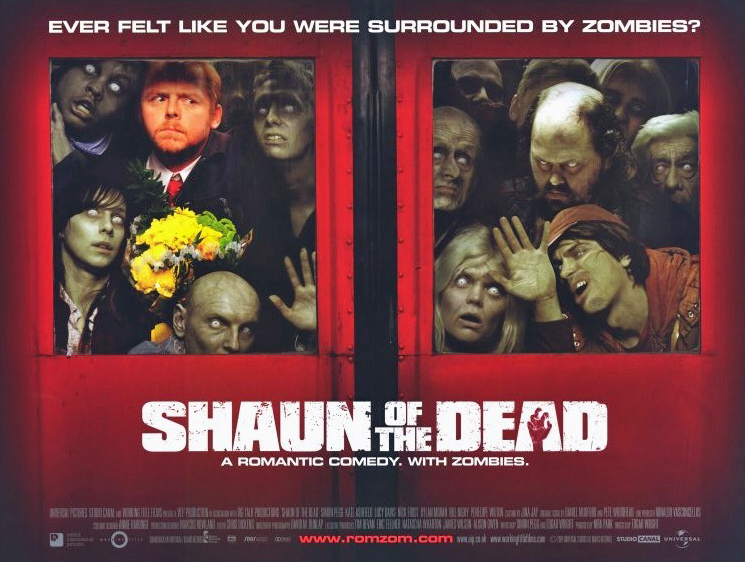 Starring Simon Pegg and Nick Frost (fresh from their appearance on the TV sitcom Spaced) and directed by Edgar Wright (of Baby Driver fame), the comedy looked at what would happen if a zombie outbreak took place in suburban England. Pegg and Frost play two hopeless slackers, whose personal problems are rudely interrupted by the imminent apocalypse, prompting them to find safety from the army of the undead. As the zombies close in on their house, they’re given a lifeline by a TV news report that claims the mobile bodies can be stopped in their tracks by destroying their brains or removing their heads. Armed only with household objects, the duo quickly run out of options. Until Shaun’s record collection comes into play and various bits of vinyl are thrown at the zombie heads. And would YOU be able to choose between the first and second Stone Roses albums… or certain, grisly death? George A. Romero took the spoof in good humour and was so pleased by the loving tribute that he gave Pegg and Wright a cameo in his new zombie epic, Land Of The Dead, the following year. They played zombies, of course.